With middle barrier level of OTR and WVTR, PVDC coated film can be used in packaging field for food, medicine and chemicals etc. to extend shelf life. Coated film is a functional packaging film which is mainly used for packaging of food, drugs, cosmetics and other consumer goods. 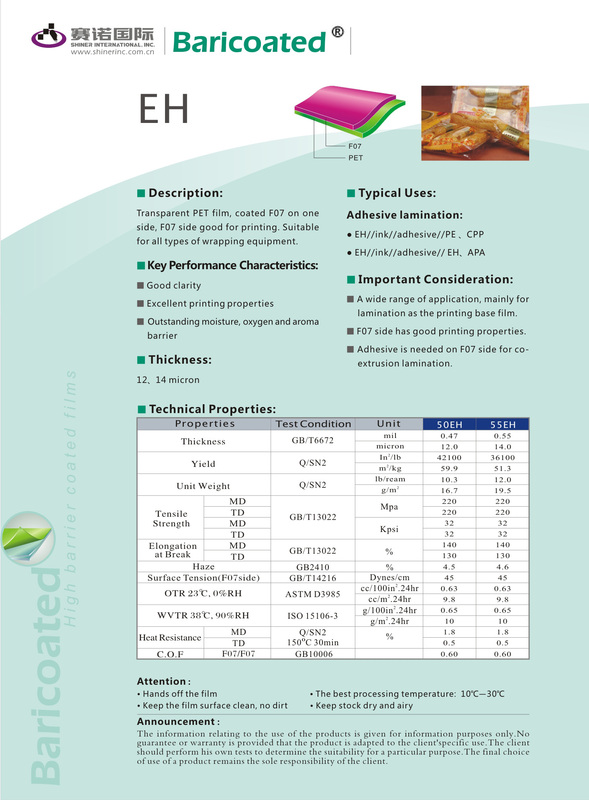 In comparison with other common films, coated films have superior barrier properties, heat sealability and printability, consequently they are often used to package goods to extend their shelf life and prevent tampering.